GOLD COAST, Australia – The second stop of the 2017 ITU World Triathlon Series saw the pace speed up in Australia for two fast and furious sprints, and it was Mario Mola (ESP) and Andrea Hewitt (NZL) who collected wins on the Gold Coast on Saturday. 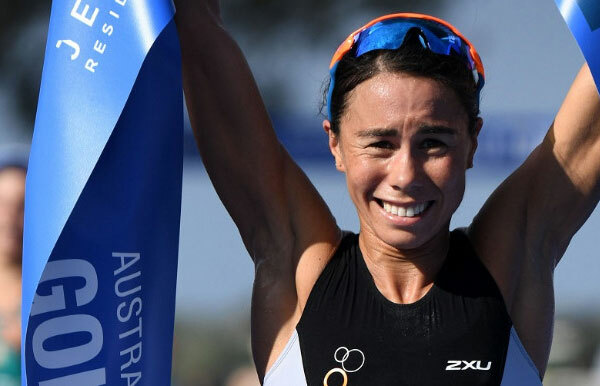 It might have taken her six years to get back on top of a ITU World Triathlon Series podium but Andrea Hewitt (New Zealand) now has two from two to start the year after she claimed the 2017 Jewel World Triathlon Gold Coast title in Australia on Saturday. 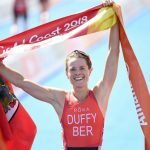 While her first victory of the year came from an epic sprint to the finish on the blue carpet in Abu Dhabi just over a month ago, her second victory came through outrunning her competition from the second transition, on the first sprint distance course of the season. “I knew my running was good and that is why I went out at that pace, but you never know how the race is going to go and today I just ran 5km at my pace and it was good enough to be out in front, so I am really happy,” Hewitt said of her day’s performance. The win also came after the Kiwi had just celebrated her 35th birthday the week prior to race day, making her one of the oldest women on the start list. “Last week was my birthday, but age is just a number isn’t it? It just all comes down to the training, today my swim and bike wasn’t up there but then I had the legs on the run so that is just how triathlon goes,” Hewitt said. Taking the silver medal was Australia’s own Ashleigh Gentle, who with the podium also met Triathlon Australia’s qualification criteria for a team spot for the 2018 Commonwealth Games. 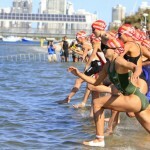 The Games will also be hosted in the Gold Coast at the same venue, and the first official medal awarded at those Games will be at the women’s triathlon event. Finishing with the bronze was Japan’s Juri Ide, who made a comeback to the WTS podium for the first time since 2014. 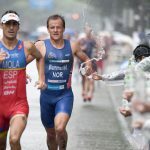 Australia’s Gold Coast has been a happy hunting ground for Mario Mola, and the Spaniard continued that run on Saturday when he took out the 2017 Jewel World Triathlon Series Gold Coast event. Mola has now won three times on the Gold Coast, including the 2009 ITU Junior World Champion title and last year’s World Triathlon Series event. His only other result has been second, at the 2015 WTS event. On Saturday the race came down to the final 5km run, with Mola locked in a battle with fellow Spanish athletes Fernando Alarza and Javier Gomez Noya, and training partner Richard Murray. But in the final few hundred metres Mola pulled away from Murray to take his second consecutive Gold Coast win, in a time of 52 minutes and 35 seconds. “It was a very tough race as usual, but with the sprint, Richard, Fernando and Javi they were all on fire. I had to give 100 percent today to get this win,” Mola said. Murray finished second and Fernando Alarza third. 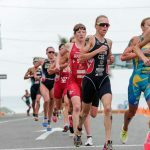 Gomez’s fourth was enough to see him retain the series leader title, while Australia’s Jacob Birtwhistle finished fifth, which saw him meet Triathlon Australia’s qualification criteria for a Commonwealth Games spot.